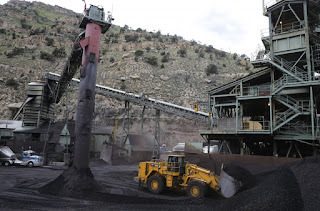 Breaking Energy 8 October 2015: While mining is essential to modern civilization, providing the required resources to fuel our favorite luxuries, even miners understand that the practice can get messy. Moving and removing several thousand tons of rock and dirt will never be a thoroughly simple endeavor, and some communities near active mines could potentially be inconvenienced if the operation isn’t careful. Fortunately, there are dozens of ways to keep nearby communities happy and healthy without abandoning your mining operation; read on for some solutions to the effects mines can have on the surrounding environment. Though mining might seem like a dusty, dry activity, a surprising amount of water goes into the extraction of valuable resources from the earth. Some types of mines require drastically more water than others; metal mines use inordinate amounts of water for the chemical processing of the ore, while non-metal mines, like those for salt, coal, and…read on.